If we are to know Jesus, we must know what He has revealed about Himself in His Word. 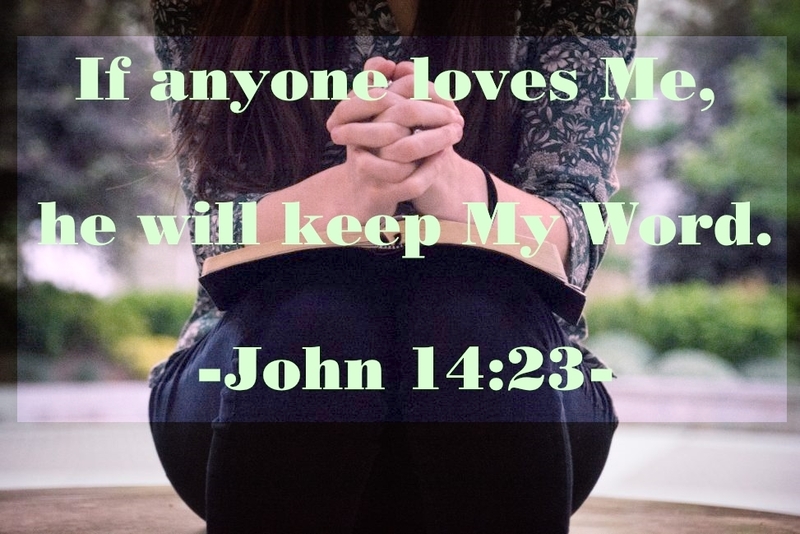 If we love Jesus, we will obey His command to keep His Word. In part one, we saw that a false belief is taking hold that asserts that we can attain a relationship with Jesus through emotion at the expense of learning about Him through a study of God’s written Word. Now let’s see how such a notion leaves us with no knowledge of God and Christ and deludes us into accepting a god of our own creation as the true Creator. As I have already explained, after our salvation, we are told to grow in the knowledge of Jesus Christ, and to do that requires learning what He teaches in His Word, the Bible. To ignore that is to be willfully disobedient. Those who reduce knowing Jesus to an inexpressible mystery make possible within Christianity the believing of anything. By what objective standard can any claim be assessed? (see Acts 17:11; 1 John 4:1). These irrationalists equate their mystery religion with piety and humility when, in fact, it is irrationalism and confusion. What do these people find when they ignore God’s revelation of Himself in the Bible and seek to find God as a good-feeling within themselves alone? They find themselves. Instead of finding the God who has died to save sinners and humbly realizing their sinfulness before His impeccable holiness and putting their trust in Him, they circumvent all that and exalt themselves as God. Of course, they delude themselves into thinking they’ve found Jesus, but this “Jesus” is no more real than a looking-glass friend—a “Jesus” whom they have created while they’ve turned a deaf ear to the voice of Jesus in Scripture. Be assured that emotion-based Christianity is only a first step toward emotion-based non-Christianity. Once you leave behind God’s Word, you leave behind the lamp that lights your path (Psalm 119:105). You will eventually become lost in the murky tangle of a humanistic, man-centered religion that leaves God behind as redundant. Speaking of physical Israel under the Old Covenant, Hosea 4:6 says, “My people are destroyed for lack of knowledge. Because you have rejected knowledge, I will also reject you, that you may be no priest to me. Because you have forgotten your God’s law, I will also forget your children.” Dare we reject God’s revealed knowledge today? Jesus taught, “‘Man shall not live by bread alone, but by every word of God’” (Luke 4:4). If we neglect the Word of God for feelings and vain fancies of having a relationship with someone we don’t even know because we ignore His words and don’t make an effort to understand Jesus Christ as He reveals Himself, how can we hope to become Christlike? Notice that in Acts 13, almost the whole city of Perga “gathered together to hear the word of God” (verse 44), not to hear someone talk about good feelings or to listen to stirring music. And when the Jews rejected the Word of God that Paul spoke, he said to them, “It was necessary that God’s word should be spoken to you first. Since indeed you thrust it from you, and judge yourselves unworthy of eternal life, behold, we turn to the Gentiles” (Acts 13:46). Rejecting the Word of God is a frightful thing. Paul instructed Timothy, “Timothy, guard that which is committed to you, turning away from the empty chatter and oppositions of the knowledge which is falsely so called; which some professing have erred concerning the faith. Grace be with you. Amen” (1 Timothy 6:20-21). Certainly, we can have an emotional response to the great truths of Scripture, but praise and worship services that simply incite feelings that arise out of our imaginations and flesh and are a response to the music and vague words deceive people into thinking that the sensations they are experiencing are from the Spirit. In Mark 12:30, Jesus, quoting Deuteronomy 6:4-5, tells us to “‘love the Lord your God with all your heart, and with all your soul, and with all your mind, and with all your strength.’ This is the first commandment.” Because we in the twenty-first century have such a different concept of the nature of a human being, we have problems understanding and distinguishing these words. But we should know this: by “heart,” the Bible does not mean purely the emotions or feelings. The word more closely means “the seat of the human conscience, character, and intellect.” Unlike our use of “heart” today, the Bible definitely connects it with the understanding and the will. Nothing in Mark 12:30 speaks of loving God solely with our emotions, and Jesus expressly includes the “mind” or intellect. In other words, Jesus is saying that we are to love God with our entire being—including our rational, intellectual mind. Some Christian teachers divide man between intellect (head) and emotion (heart). The Bible never does this. God’s Word takes a more holistic view of man. Instead of placing a division within the person, the Bible places the distinction between two different types of people, believers and unbelievers. One person can thoroughly know the Bible, but not believe it. This person’s problem is not that he has head knowledge but no heart knowledge. His problem is that he doesn’t believe what he knows. Another person may know only the basics of the Gospel but believe it. This person’s advantage is not that he has heart knowledge. It is that, in spite of his having little knowledge, he believes what little he knows. But it is not a virtue to have little knowledge. This believer should now study the Scriptures to grow in knowledge. We believers may have emotional responses to knowledge as we learn about God’s love, grace, goodness, etc., but that is very subjective. Everyone is different, and emotional response is not something on which to try to determine whether we or someone else is genuinely saved. Another problem is in the term “mere intellectual assent.” It is a term of propaganda used by emotionalists, intended to imply that belief alone is not enough. They say that no one is saved through mere intellectual assent; true belief is a matter of the heart; one must have an emotional response and an expression of volitional faith that shows reliance on Christ. But biblical orthodoxy demands that belief alone is enough. Anything added to belief as necessary for salvation is a works-based salvation. The Bible plainly states, “Believe in the Lord Jesus Christ, and you will be saved” (Acts 16:31). But isn’t love what is most important? Absolutely. Knowledge without love is nothing (1 Corinthians 13:2). On the other hand, how would we know whom to love and why we should love Him without knowledge? To love God, then, necessitates knowing Him on an intellectual level, and that, in turn, means that we must have accurate knowledge of Him, who He is, what His goals are, and what He is doing. Centuries ago, God miraculously transmitted this information to His people through direct revelation, but it is now contained in His written Word. Now, anyone can read it, yet it can only be properly understood and believed by those in whom God’s Spirit dwells (1 Corinthians 2:10-16), the Spirit and the Word working together. Today, an anti-intellectual, experiential, emotional, theology-denigrating, heart-led species of Christianity is gaining ground in all forms of media. Its proponents disparage as rationalists, bibliolaters, and out-of-touch purveyors of dusty and dead book knowledge those Christians who still believe that the Bible, as God’s written revelation to man, expressly states or implies all that we need to know for our salvation and how we may live our lives to God’s glory. Let’s make no mistake; the contest between those who teach a subjective and untested so-called knowledge (1 Timothy 6:20) and those who mine their knowledge from God-breathed Scripture is a struggle between the darkness and the light, and between evil and good. Certainly, some innocent people may be caught up for a time in the deception, but the mindset of this “pop-Christianity” is straight from hell. Therefore, it is necessary for us as trustworthy stewards to “contend earnestly for the faith which was once for all delivered to the saints” (Jude 1:3). Let us never give in to those who denigrate doctrine.